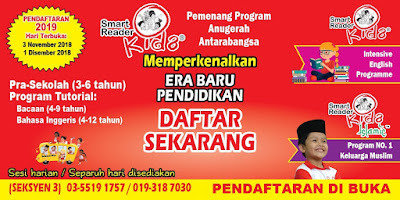 Smart Reader Kids, Seksyen 3 Shah Alam - Selangor Malaysia: Registration Intake 2019 is now OPEN! Registration Intake 2019 is now OPEN! Valued parents, it is approaching towards year end 2018. 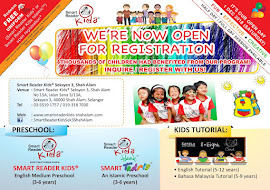 As always, we are now OPEN for Preschool and Tutorial registration for year 2019 intake! 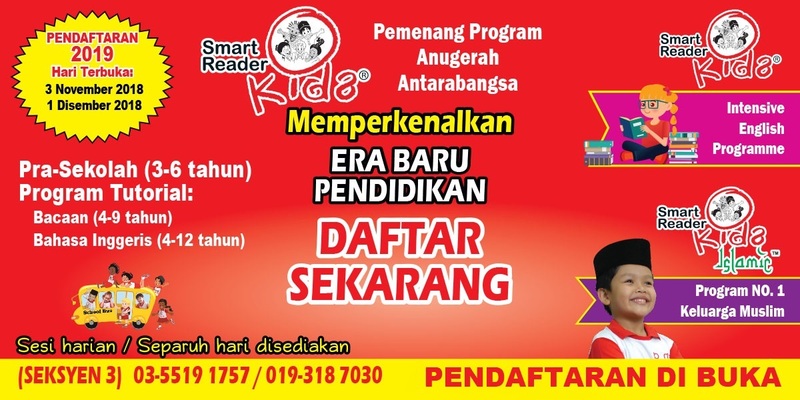 For parents who are interested to enroll their children in one of our programs, do register early as some classes are already being filled up. Call us or visit us for more info and don't forget to ask us about our Registration promotions! 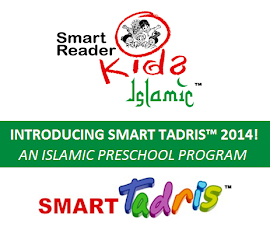 Give your child a head start!